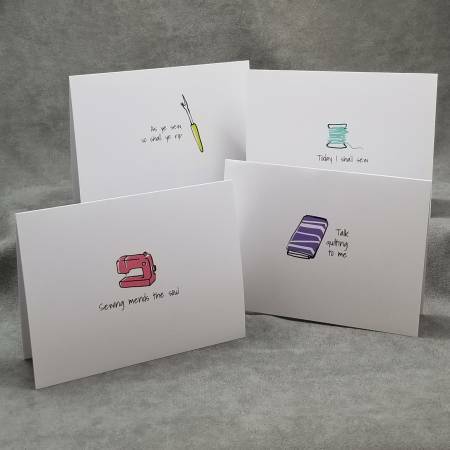 Created just for sewers, you and the friends you send them to, will love the inspiration and humor of these charming sewing-themed cards! Each set contains 8 different blank cards plus 8 matching envelopes. Printed in the USA.